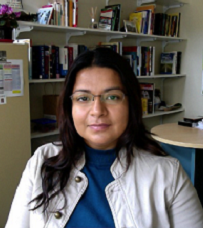 A/Professor Bhullar's research focuses on community, environmental and applied psychology. She is particularly interested in using behavioural science-informed strategies (e.g., community-based social marketing campaigns, social norms) in a range of consumer choice contexts and risk communication. Her research also focuses on understanding a range of psychological and environmental influences on mental health and well-being. Bhullar, N., & Snell, T. (2018). Natural Benefits: How nature contributes to psychological well-being. InPsych: The Bulletin of the Australian Psychological Society Limited, 40, 22-25. Schutte, N., Bhullar, N., Stilinović, E.J., & Richardson, K. (2017). The impact of virtual environments on restorativeness and affect. Ecopsychology, 9, 1-7. Schutte, N., & Bhullar, N. (2017). Approaching environmental sustainability: Perceptions of self-efficacy and changeability. The Journal of Psychology: Interdisciplinary and Applied, 151, 321-333. Adapa, S., Bhullar, N., & Desouza, S. V. (2016). A systematic review and agenda for using alternative water sources for consumer markets in Australia. Journal of Cleaner Production, 124, 14-20. Johe, M.H. & Bhullar, N. (2016). “To Buy or Not to Buy”: The roles of self-identity, attitudes, perceived behavioral control and norms in organic consumerism. Ecological Economics, 128, 99-105. Morgan, M., Hine, D.W., Bhullar, N., Dunstan, D.A., & Bartik, W. (2016). Fracked: Coal seam gas extraction and farmers’ mental health. Journal of Environmental Psychology, 47, 22-32. Morgan, M., Hine, D.W., & Bhullar, N., Loi, N.M. (2015). Landholder adoption of low emission agricultural practices: A profiling approach. Journal of Environmental Psychology, 41, 35-44. Bhullar, N., Hine, D.W., Marks, A., Davies, C., Scott, J.G., & Phillips, W. (2014). The affect heuristic and public support for three types of wood smoke mitigation policies. Air Quality, Atmosphere & Health, 7, 347-356. Reeve, I., Scott, J.G, Hine, D.W., & Bhullar, N (2013). "This is not a burning issue for me": How citizens justify their use of wood heaters in a city with severe air pollution problem. Energy Policy, 57, 204-211. Bhullar, N., & Schutte, N.S. (2018). Emotional intelligence. In Bernardo J. Carducci & Christopher Nave (Eds.). The Wiley-Blackwell Encyclopedia of Personality and Individual Differences. Bhullar, N., Schutte, N.S., & Wall, H.J. (2018). Personality and positive psychology. In Bernardo J. Carducci & Christopher Nave (Eds.). The Wiley-Blackwell Encyclopedia of Personality and Individual Differences. Thorsteinsson, E.B., Bhullar, N., Williams, E., & Loi N. (2018). Schizophrenia literacy: The effects of an educational intervention on populations with and without prior health education. Journal of Mental Health. Holloway, K., Bhullar, N., & Schutte, N.S. (2017). A latent profile analysis of dispositional hope and defense styles. Personality and Individual Differences, 114, 151-154. Haridas, S.,Bhullar, N., & Dunstan, D.A. (2017). What’s in the character strengths? Profiling strengths of the heart and mind in a community sample. Personality and Individual Differences, 113, 32-37. Trawley, S.L., Bhullar, N., & Jones, S.C. (2017). How preferences for volume-based promotions differ between at-risk and non-problem female drinkers. International Journal of Drug Policy, 45, 42-45. Walton, M.T., Lykins, A.D., & Bhullar, N. (2016). Beyond Heterosexual, Bisexual, and Homosexual: A diversity in sexual identity expression. Archives of Sexual Behavior, 45, 1591-1597. Walton, M.T., Lykins, A.D., & Bhullar, N. (2016). Sexual arousal and sexual activity frequency: Implications for understanding hypersexuality. Archives of Sexual Behavior, 45, 777-778. Bhullar, N., Surman, G., & Schutte, N.S. (2015). Dispositional gratitude as a mediator of a past-positive temporal frame and well-being. Personality and Individual Differences, 76, 52-55. Magor-Blatch, L.E., Bhullar, N, & Thomson, B., & Thorsteinsson, E. (2014). A systematic review of studies examining effectiveness of therapeutic communities. International Journal of Therapeutic Communities, 5, 168-184. Semrad, M., Vangas, T., & Bhullar, N. (2014). Selecting witness protection officers: Developing a test battery for the Australian Police. Police Practice and Research: An International Journal, 15, 6-16. Magor-Blatch, L., Keen, J., & Bhullar, N. (2014). Personality factors as predictors of programme completion of drug therapeutic communities. Mental Health and Substance Use, 7, 110-124. Bhullar, N., Hine, D.W., & Phillips, W.J. (2014). Profiles of psychological well-being in a sample of Australian undergraduate students. International Journal of Psychology, 49, 288-294. Bhullar, N., Schutte, N.S., & Malouff, J.M. (2013). The nature of well-being: The roles of hedonic and eudaimonic processes and trait emotional intelligence. The Journal of Psychology: Interdisciplinary and Applied, 147, 1-16.